The Art & Industry Festival commissioned this podcast, The Bridge. It has been produced by Overland magazine and Witness Performance, in collaboration with the 2018 Art & Industry Festival, which was themed around bridges. On 15 October 1970, in Australia’s worst modern industrial accident, a 2000-ton span of the West Gate Bridge fell during construction. Thirty-five bridge workers died and a further eighteen were injured. 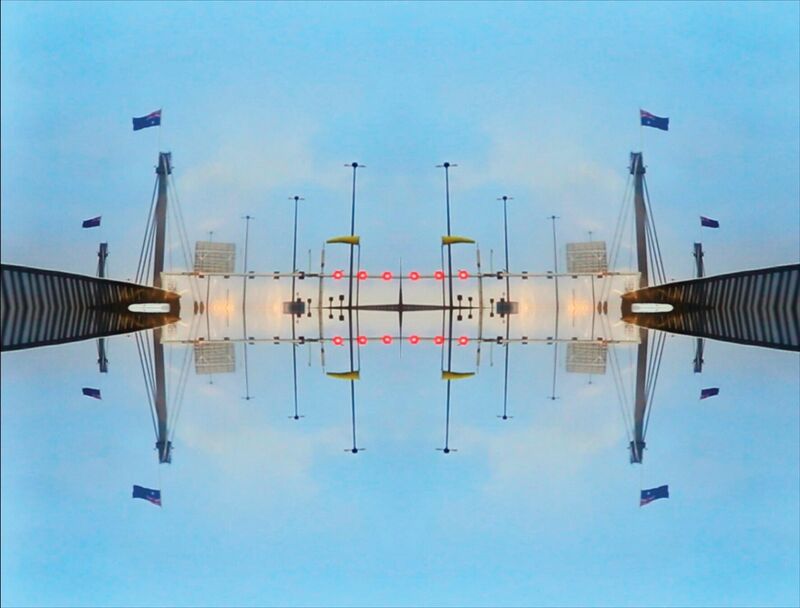 This podcast documents important moments from the 2018 Art & Industry Festival that relate to the history and significance of the West Gate Bridge. It will take you to symposiums; intimate accounts from workers who survived the collapse; scenes from the recent production of The Bridge, a play written by the late Vicki Reynolds in 1990, which tells the stories of the bridge workers using verbatim techniques; and, finally, to a special performance of ‘Throw your arms around me’ by Mark Seymour, James Henry and local community singers (led by Jennifer Lund), largely sung in the Yuwaalaraay language. 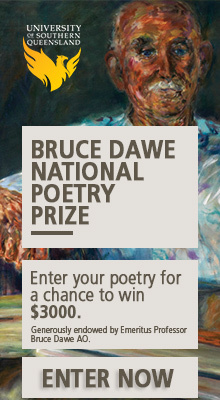 Co-hosted and produced by Ben Keene, from Witness Performance, and Jacinda Woodhead, from Overland. Mixed by, and all additional music by, Ben Keene. Many thanks to the West Gate Bridge Memorial Committee, the CFMEU, everyone who spoke at the ‘How to build bridges’ symposium and/or gave their time in interviews, James Henry, Bindi Cole Chocka, Mark Seymour, local community singers (led by Jennifer Lund), Donna Jackson, Elizabeth Humphrys, Enza Gandolfo, Tara Goldstein, the Art + Industry Festival, Witness Performance, Ben Keene, Alison Croggon and Rachael McGuirk. A special thanks to the bridge workers – Tom Watson, Danny Gardiner, Pat Preston, Paddy Hanaphy and Ian Domoney – who were so generous with their thoughts and experiences, and to the trade union movement as a whole. Ed note: transcript to come. As at 20 December, there had been 118 Australian workers killed at work in 2018. In 2017, the data show there were 190 Australian workers killed at work, compared with 187 workers in 2016. Yes, it’s terrible. No-one should die as a result of going to work. But the history that this podcast reveals is why, today, workplace deaths aren’t in the hundreds of thousands. The collapse of the West Gate Bridge remains the worst industrial accident in Australia’s modern history – and it resulted in a powerful union movement. The workers who survived the accident went onto be forces of unity and change – involved in everything from green bans to antiwar actions – and these workers are the reason construction is so unionised, and the very reason why we even have OH&S regulations. I’m not sure if you actually listened to the podcast, but if not, I’d encourage you to listen to the thoughts of the workers themselves. They start at 30:35. Good luck with the project, and sure, listened to the podcast before commenting, took the workers points on board, and definitely didn’t wish to come across as a party pooper, yet for all that, having worked in Melbourne in 1970, firstly on a building site, then as a roadie for a well known band at the time, and lastly handling freight at Spencer Street Station, witnessed and came to learn how death and injury is a perennial on such sites, with injury often having a greater long time effect on families, and for all that, couldn’t see how a part could possibly stand for the ongoing whole (probably wasn’t meant to?). That was all. congrats! great podcast on something I have wondered about for a long time living close-by the Bridge. really solid production with minimal intervention in the storytelling, have shared this podcast with many friends and hope OL ventures into audio production again soon.